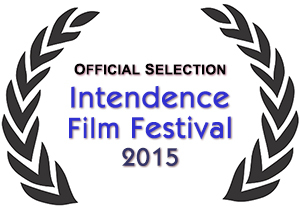 SBB is proud to announce that its documentary, The Making of The Undead Milkman, will screen at this year’s Intendence Film Festival. The Intendence Film Festival will happen June 25 – 28 at the Open Media Foundation. The documentary tells the story of the films that SBB co-founder John Aden made with his friends back in the 1980s. The actual screening time of The Making of The Undead Milkman at Intendence will be announced shortly. The Making of the Undead Milkman, a documentary by the folks at Shocking Beyond Belief Films, will screen at the Oriental Theater in Denver on Wednesday, August 7. The documentary will follow the screening of Low Down Dog, by Denver filmmaker Raoul Vehill. The event starts at 8 pm. A documentary by the folks at Shocking Beyond Belief Films about a group of kids who made films together in the 1980s. Tearfully So has been selected as one of the films screened at the Emerging Filmmakers Project – Thursday, July 19, 8 p.m., at the Bug Theatre (3654 Navajo Street in Denver). Here is a test of the green-screen effect. This footage was shot with a Sony HVR-A1U. Too bad we didn’t have this camera while filming Tearfully So! The effect was done with Final Cut Express. Recognize the characters? Here is a hint.